Paydar is an artificially intelligent platform that tracks customer and buyer behaviour in real time. We ran an event this October to high – level retail business owners and executives. This involved print, online promotion, and an event. We brought together a room of retail business managers and owners plus high calibre speakers. Dave Hughes – General Manager of e-commerce for Briscoe Group – 90 stores including Rebel Sports and Living & Giving brands. He gave very hands on advice as to how to experiment with business variables and measure your business performance, plus using formulas to calculate expected growth. Dr Kathryn Hempstalk– Head of Data and Insights of TradeMe. With over 800,000 unique visitors a day, TradeMe accumulate mass amounts of data hand have begun to use this to improve their business systems and online websites. Antony Ede – Co-founder of Paydar on the future of AI. - 182,692 online impressions, 360 clicks over two weeks. - 10,500 emails sent to our audiences – Idealog and NZ Retail. 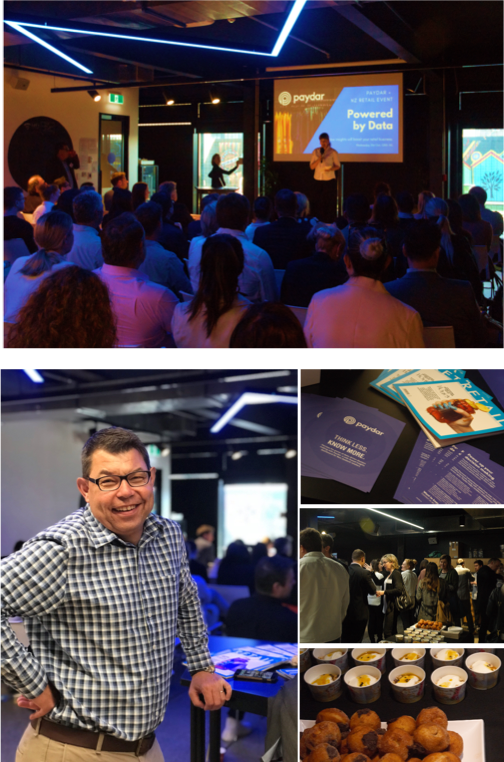 - 80 attendees, data collected on audience, contacts collected, including Google and Air NZ. - Client followed up contact list with a white paper on AI and marketing. - Client product Paydar reaching exposure of over 200,000 total, and happy with the outcomes.